Cabrillo National Monument, California.. 07 Sep 2018. © National Park Service U.S. Department of the Interior. North of Spain, 2006. 24 Oct 2011. Ignacio Bárbara. © Ignacio Bárbara (barbara@udc.es). Hildenbrandia rubra on stones, Spiddal.. 03 Apr 2011. M.D. Guiry. © M.D. Guiry (mike.guiry@nuigalway.ie). TS tetrasporangial cavities, Spain, Galicia, Ría de Coruña, 2007. Ignacio Bárbara. © Ignacio Bárbara (barbara@udc.es). 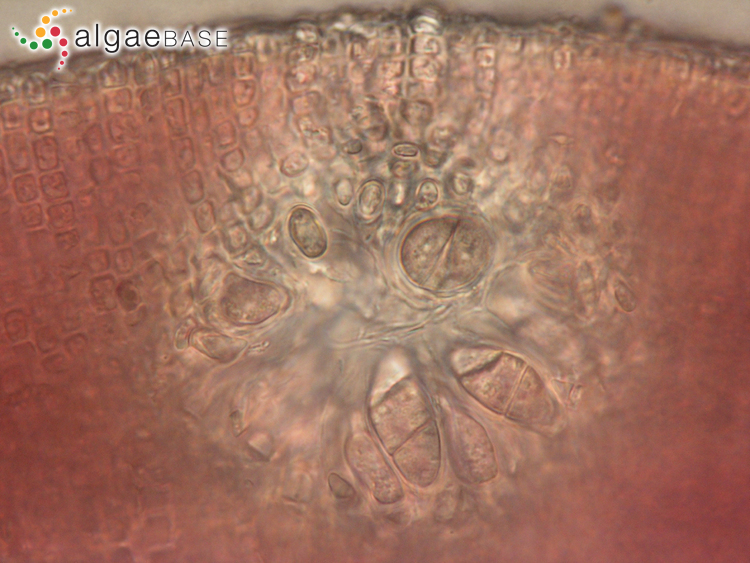 surface view of tetrasporangial cavities, Spain, Galicia, Ría de Coruña, 2007. Ignacio Bárbara. © Ignacio Bárbara (barbara@udc.es). 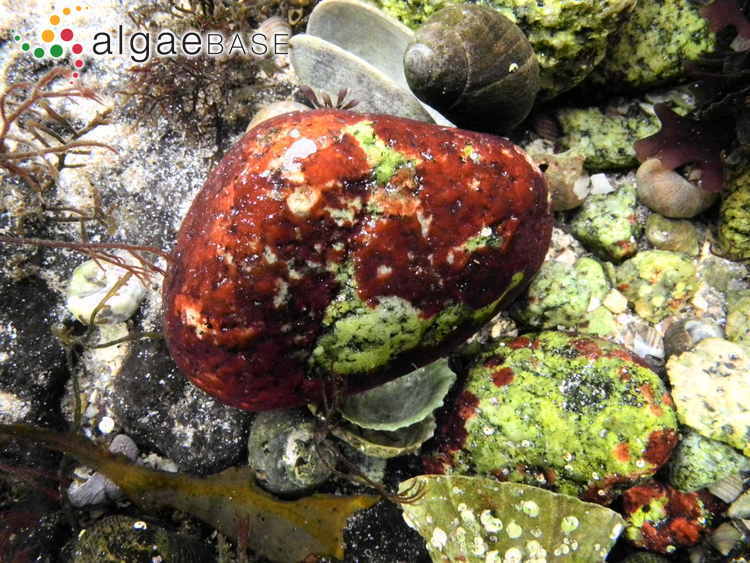 Claddagh, Galway, Ireland; on upper-shore granitic boulders with the invasive barnacle Elminius modestus Darwin. 27 Jan 2008. Michael Guiry. © Michael Guiry (mike.guiry@nuigalway.ie). Published in: Meneghini, G. (1841). Algologia dalmatica. Atti della terza Riunione degli scienziati italiani tenuta in Firenze 3: 424-431. 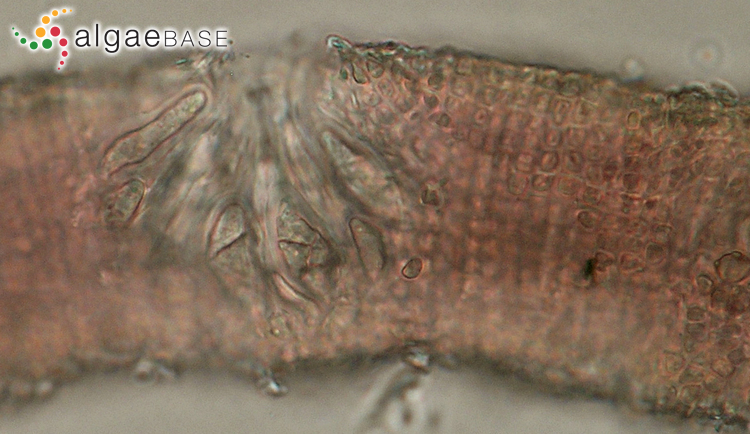 The type species (holotype) of the genus Hildenbrandia is Hildenbrandia prototypus Nardo. Type locality: Hab. in lapidibus a fluxu maris inundatis ad litora Nordlandiae frequenter [Nordland, Norway] (Sommerfelt 1826: 140). Lectotype: O (Irvine & Pueschel 1994: 240). Notes: According to Irvine & Pueschel (1994: the lectotype: is from Norway (Saltdal). 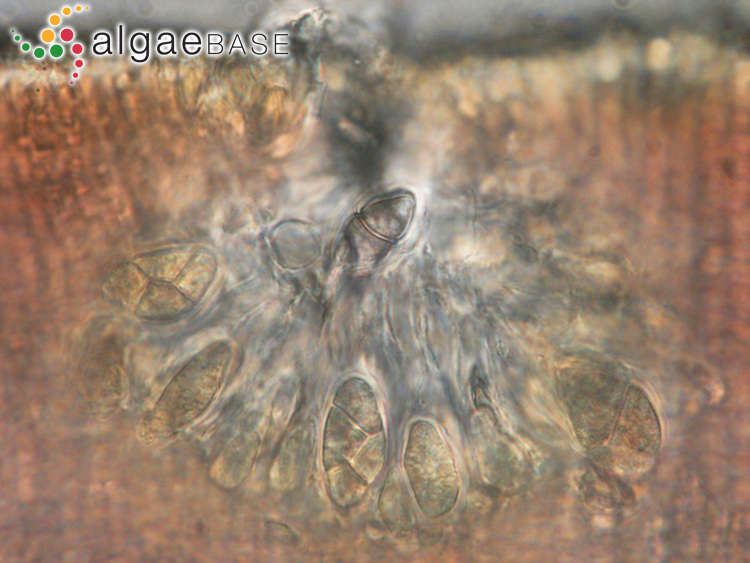 Sherwood & Sheath (2003: 411) give the following data: Holotype: Yaltdalen. Sommerfelt (vii. 1822); in O (no number given). Swedish: Havsstenhinna (Tolstoy & Österlund 2003). 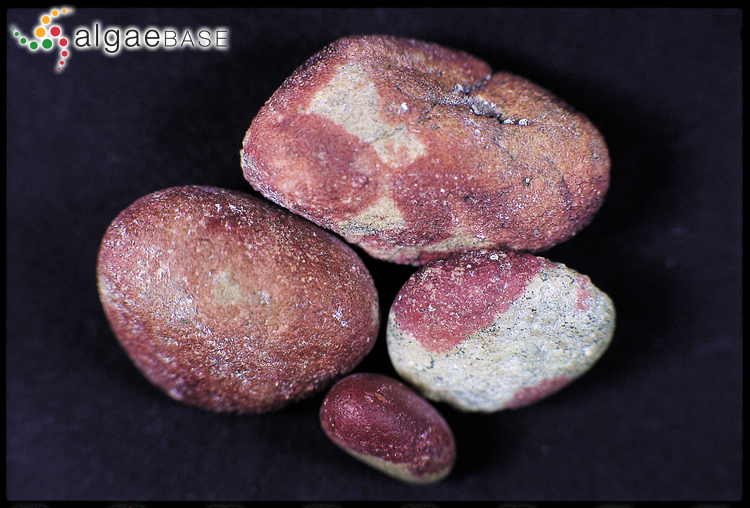 Rose-red or brownish-red crusts, 0.2-0.5 mm thick, of indefinite extent, closely adherent to substrate, without rhizoids; without surface markings. 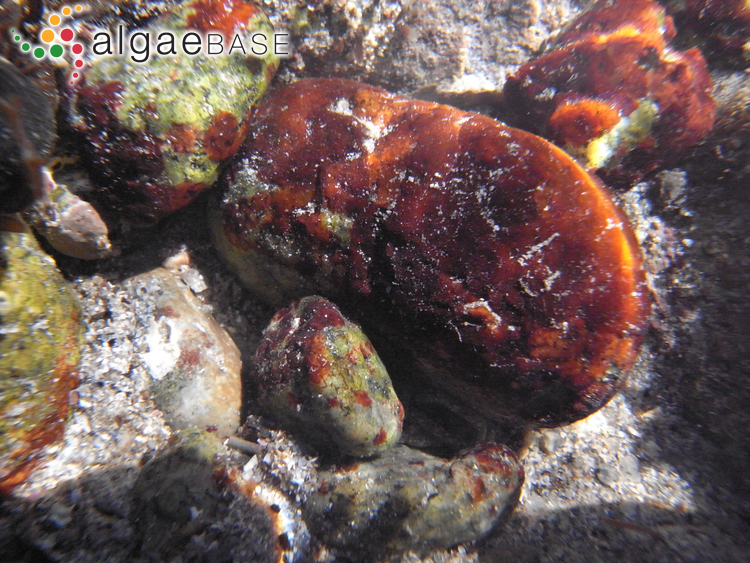 On rocks and stones at all tidal levels, often in splash zone in caves, and subtidal, widely distributed, extemely abundant, particularly in upper shore where it appears to be very tolerant to extremes of temperature, light and salinity. Thin, extensive crust with irregular outlines; only red crust that grows on rock in the upper half of the shore. Irvine, L.M. & Pueschel, C.M. (1994). Hildenbrandiales. 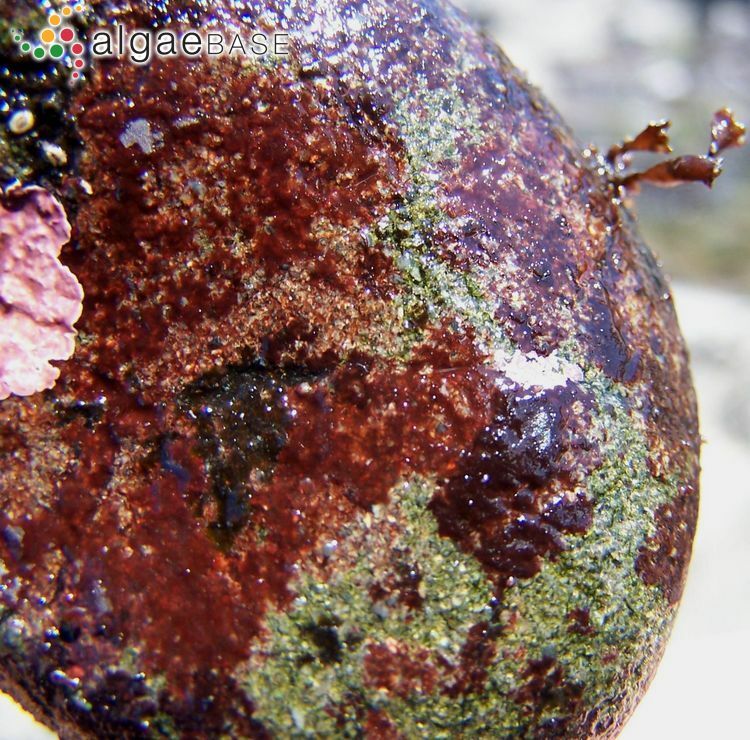 In: Seaweeds of the British Isles Volume 1 Rhodophyta Part 2B. (Irvine, L.M. & Chamberlain, Y.M. Eds) Vol.1(2B), pp. 235-241. London: HMSO. Peña, V. & Bárbara, I (2013). 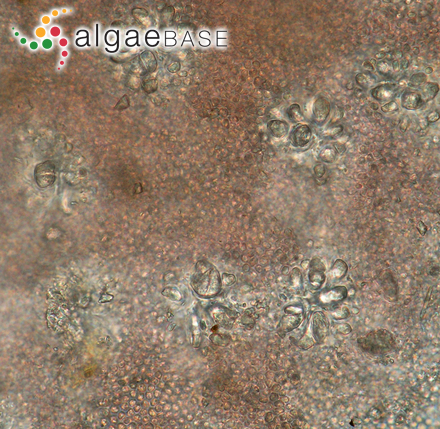 Non-coralline crustose algae associated with maerl beds in Portugal: a re-appraisal of their diversity in the Atlantic Iberian beds. Botanica Marina 56(5/6): 481-493. Peña,V. & Bárbara, I. (2010). 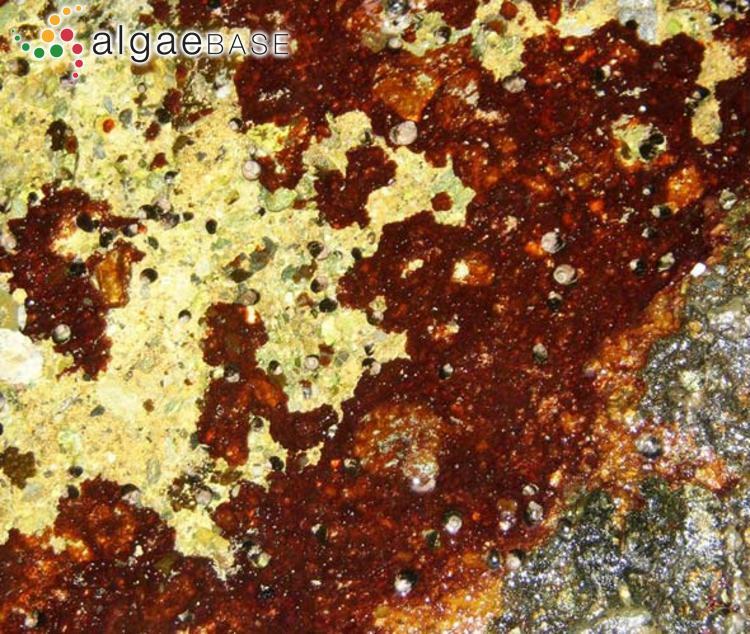 New records of crustose seaweeds associated with subtidal maërl beds and gravel bottoms in Galicia (NW Spain). Botanica marina 53: 41-62. Accesses: This record has been accessed by users 16801 times since it was created. Kim, K.Y. & Garbary, D.J. (2006). 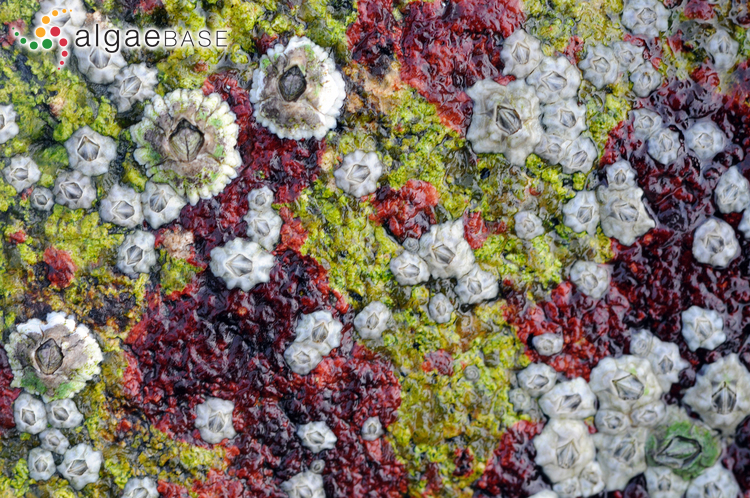 Fluorescence responses of photosynthesis to extremes of hyposalinity, freezing and desiccation in the intertidal crust Hildenbrandia rubra (Hildebrandiales, Rhodophyta). Phycologia 45(6): 680-686, 7 figs. Pueschel, C.M. (1988). 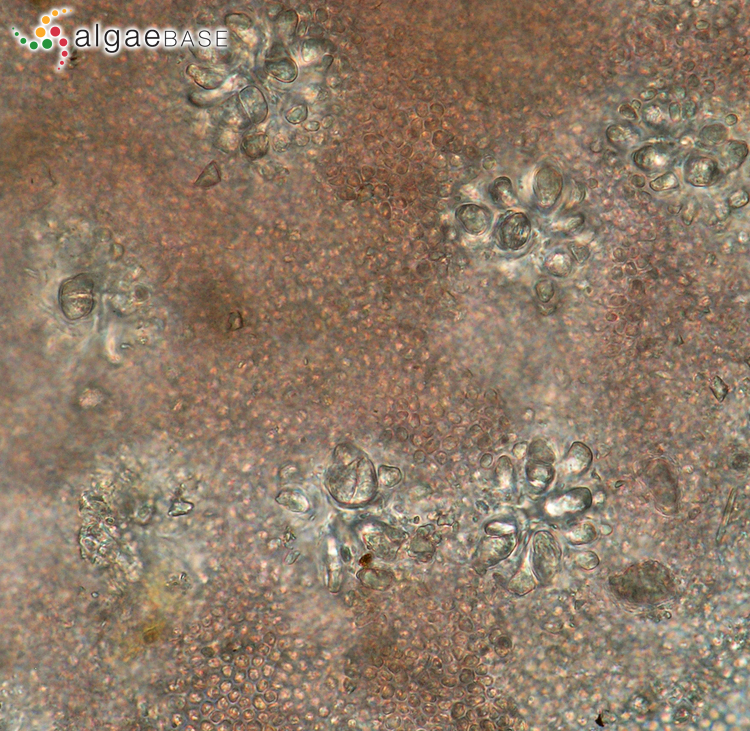 Cell sloughing and chloroplast inclusions in Hildenbrandia rubra (Rhodophyta, Hildenbrandiales). British Phycological Journal 23: 17-23.